Find Fishers, IN Condos for sale. View Photos, Maps and MLS Data Now! 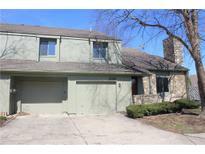 Highly rated Hamilton southeastern schools close to shopping centers, dining areas. 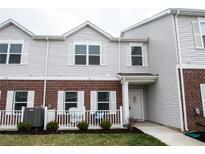 MLS#21635303. CENTURY 21 Scheetz. 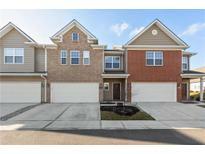 Middleton Place - Walking distance to the community pool! MLS#21633239. CENTURY 21 Scheetz. 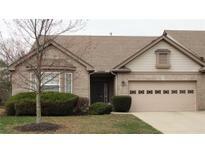 This unit comes with a boat slip on Geist Lake! MLS#21632431. Liberty Real Estate, LLC..
Muir Woods - Close to shopping, restaurants, movie theaters, schools, parks, places of worship, and interstates. MLS#21631030. Berkshire Hathaway Home. Limestone Springs - Close to I-69, Ruoff Music Center, Hamilton Town Center w/ plenty of great shopping/ dining! MLS#21631090. ERA Real Estate Links. Limestone Springs - Clubhouse, pool and playground area in this development. MLS#21629752. F.C. Tucker Company. Conner Creek - Freshly painted and new carpet too! MLS#21630237. RE/MAX Advanced Realty. Highpoint Ridge - Back patio is ready for those summer parties including lighting. Builder warranty transferrable. MLS#21630353. RE/MAX Advanced Realty. Country Fields At Fishers - Finished garage. Great location close to everything. MLS#21630008. F.C. Tucker Company. This one has it all! A must see! MLS#21629979. Carpenter, REALTORS®. 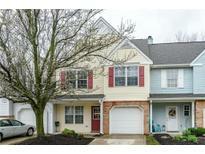 Townhomes At Fishers Pointe - Impeccably maintained and a must see! MLS#21628501. Keller Williams Indy Metro NE. Middleton Place - HVAC 2014, Kitchen remodeled, stainless steel appliances included, both master bath remodeled, flooring, patio and fence, Roof replaced in 2013 - see complete list of updates in the pictures. MLS#21626278. F.C. Tucker Company. Conner Creek - The only thing missing is for you to call it home. MLS#21629536. Keller Williams Indpls Metro N.
Avalon Of Fishers - Plus it's located near HSE Schools, Hamilton Town Center, IKEA & Top Golf. MLS#21627289. F.C. Tucker Company. Whispering Woods - This home has been pre-inspected for any issues. Welcome home! MLS#21628631. Highgarden Real Estate. This condo has it all, providing amazing value, and will not last long! MLS#21628636. Five-Star Realty Group, LLC. Middleton Place - Location is convenient to shopping, restaurants & interstate. This gem will go quick! MLS#21628152. F.C. Tucker Company. 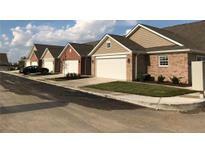 Middleton Place - Located Close To Restaurants, Parks, Entertainment And Easy Access To Interstate 69 For Easy Living. MLS#21627269. Keller Williams Indy Metro NE. Townhomes At Fishers Pointe - When you head upstairs, you'Lower Level find a charming master suite which features vaulted ceilings, walk-in closet, and bathroom with a double vanity, as well as a second bedroom and bathroom suite. MLS#21626759. CENTURY 21 Scheetz. 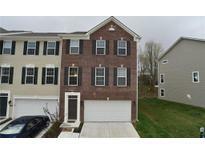 Townhomes At Fishers Pointe - Tax will be half after owner occupant! 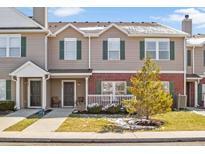 Prefer showings on Saturday! MLS#21626646. States First Realty. Hannover On The Green - Green space offers seasonal Farmer's Market, concerts, and holiday parties. MLS#21626075. F.C. Tucker Company. Fantastic location just minutes to shopping, restaurants and schools! MLS#21619479. ALL Premiere Real Estate Group.